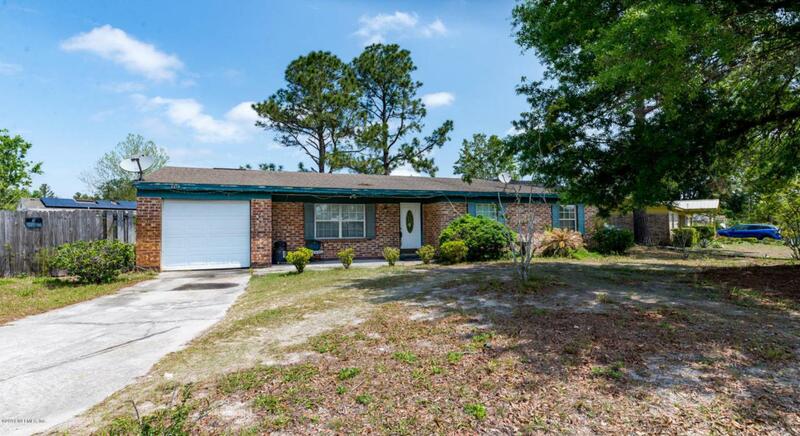 Great starter 4 bedroom 2 bathroom home or investment property!10 miles away from JAX BEACH and only minutes away from the ST. JOHNS TOWNCENTER filled with shopping, trending restaurants, hotels and lots more! Local neighborhood convenient store just within walking distance. NEW HVAC installed in 2016. Notice the crown molding and tile floors all throughout home. Carpet in bedrooms. Open kitchen concept with plenty of space for family fun. Spacious FULLY fenced-in backyard is perfect for outdoor party gatherings.